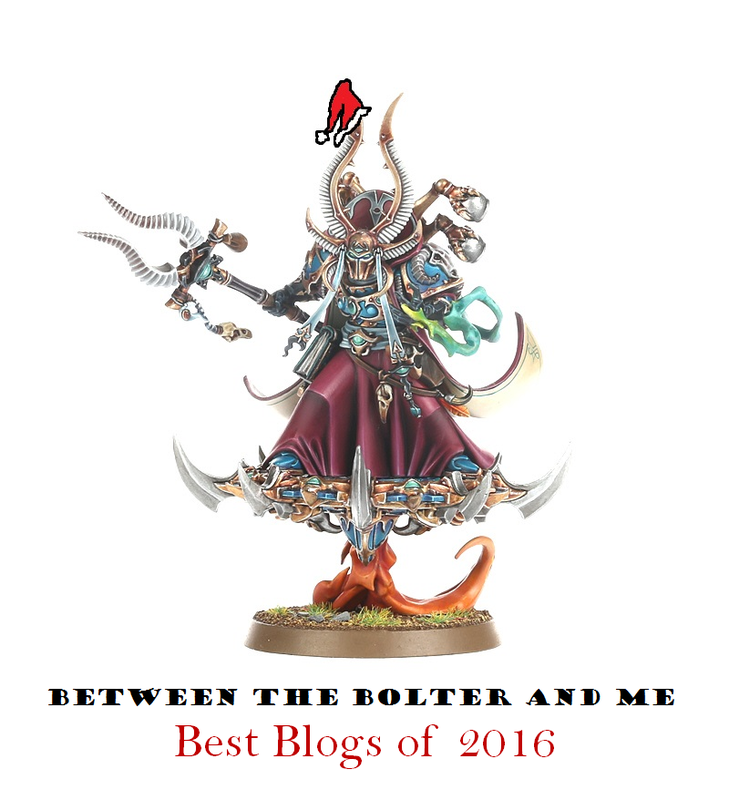 After having posts detailing our favorite models of 2016 and documenting our exploits, it is time that we highlight some of our favorite blogs and hobbyists from the past year! It was a truly remarkable year, filled with the creations of so many talented hobbyists that we could never name them all. But below is a small selection of ones that really stirred our imaginations. We endeavored to highlight blogs we have not mentioned in previous years, but would encourage you to look at our selections from 2015 and 2014, as most are still producing stunning work! With all of the great kits that Games Workshop releases, it is easier than ever to find the pieces you need to make a conversion, making it such that many might never even need to consider busting out modelling putty to achieve a desired effect. Gretchen over at Greenstuff Gretchen tends to take the opposite approach, sculpting more than she scavenges bits. 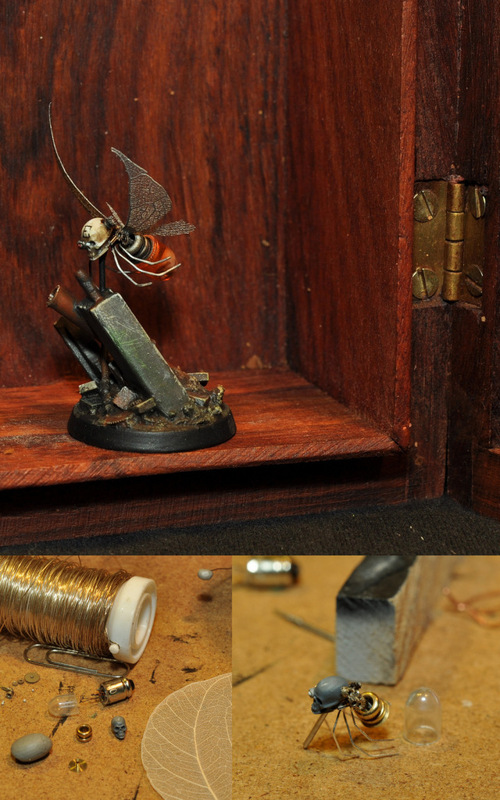 Her talent is extraordinary, resulting in the creation of many stunning miniatures, all strengthened by her willingness to sculpt what she needs and not rely on something that is not perfect for the task. While she has too many fantastic miniatures to name them all, two stand out in our minds that show her technical skill and creative breadth. 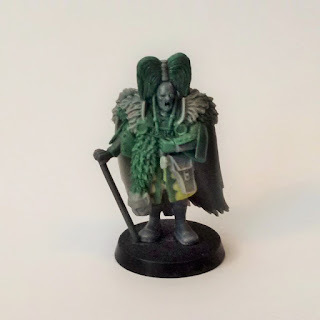 The first is Judge Hathorne, an Adeptus Arbites, which she lovingly created to emulate a classic John Blanche illustration. While clearly reading as an Arbite, the model does not have the bulky riot armor or a shotgun, but instead has a cane and an impressive top-knot! The other is a model built with the Outgard setting in mind, Barquentine, The Luddite-General of Lindisfarne. Also based on a piece of Blanche artwork, the character is an amazing amalgamation of royalty and splendor, a touch of decay, and a perverse sense of proportions. On top of her sculpting talent, she is also a gifted writer, making her blog a constant source of inspiration! 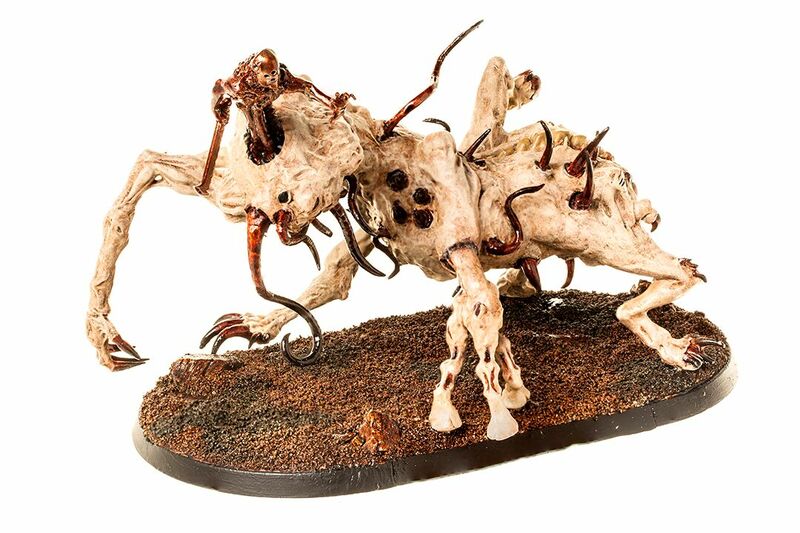 Warhammer is filled with horrific images and dreadful beasts; such is their prevalence that we barely bat an eye at each new addition to the model range. But Eli Parsons’ chilling Arg'Gallak forced us to take notice, and despite the the feelings of revulsion that well up upon looking at its fell musculature, it is hard to peel your eyes away, with a sort of grim fascination overtaking you! Perhaps more exciting than this unspeakable horror, however, is the Dragons of Phaeton campaign that he is working on. Set in Sector Totradus, home of the mighty yet strangely silent/forgotten forge world of Phaeton, Eli has multiple narratives going, including recounts of an excellent set of Dark Heresy (Fantasy Flight’s 40k RPG) sessions focusing on the Inquisitor Severen Kade. In 2017 we hope to see a lot more from Phaeton and Eli as a whole! A highlight of 2016 was being introduced to the work of Stygian Thorne. 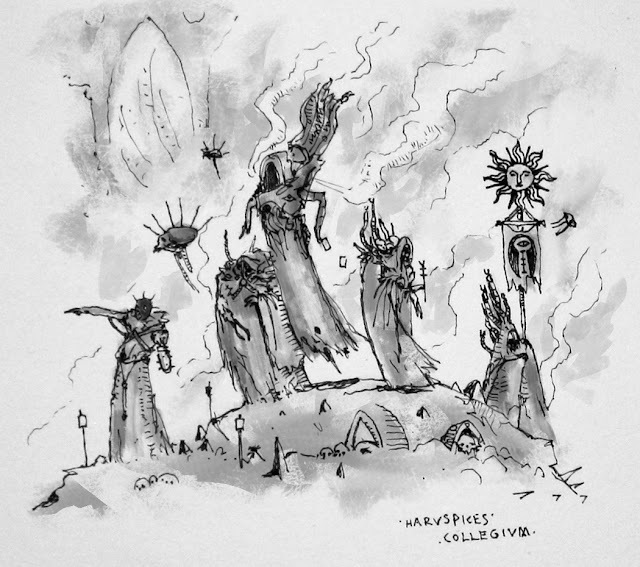 We first discovered his work during the Pilgrym event, when we saw his Arxite pilgrims, a NPC group of itenerant worshipers who venerate spyres and architecture. Not wishing to rest on his laurels, he sketches constantly, taking cues from John Blanche, while injecting historical and anthropological accounts into his creations. This willingness to explore aspects of Warhammer 40k that are not simply boltguns and power armor make all of his work exciting and new. And while his blog might not get updated regularly, he posts regularly on Instagram and Twitter via @stygian_thorne! 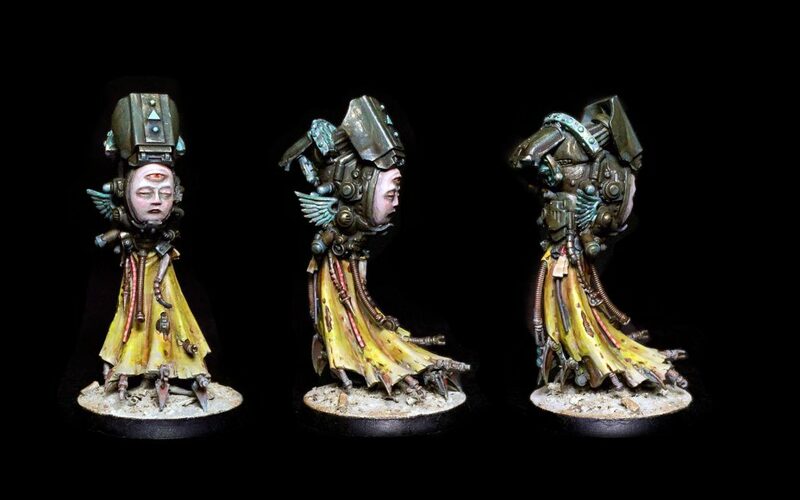 While Odie was not able to post too much on his blog in 2016, he started out the year making a wonderful Tech Magos, that manages to be one of our favorite models of the year. It is a really inspired use of a number of well-loved kits. 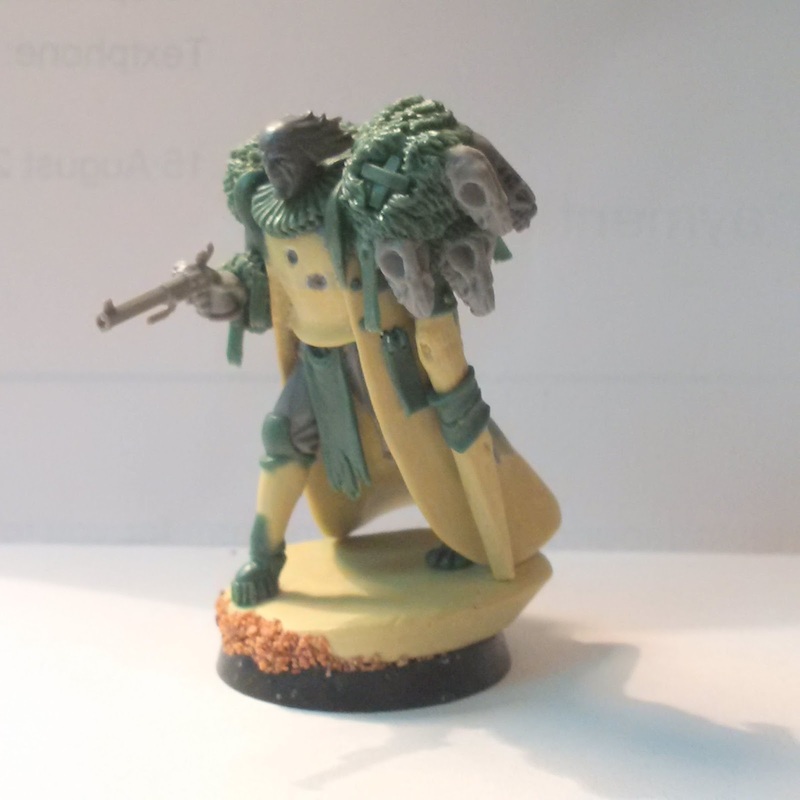 Somehow he was able to seamlessly merge the Cairn Wraith, tech priest dominus, and some Skitarii ranger pieces together into something completely unique and delightful. In addition to being a skilled modeler, he is also a talented writer, with some imaginative pieces on his Heavy Static and his other narrative blog. Although Jake’s (Bruticus) website Ex Profundis has graced this list last year for it constant ability to challenge people's’ idea of what “grim-dark” means in this hobby, it has been included again due to an influx of new contributing members including Apoteos and Weirding Way. Both espouse the weirder, less explored aspects of Warhammer/40k, greatly expanding the settings as a whole. Apoteos created a wonderfully grotesque band of mutants, based primarily off of older Brian Nelson and Paul Muller sculpts (largely Gorkamorka models, circa 1997). 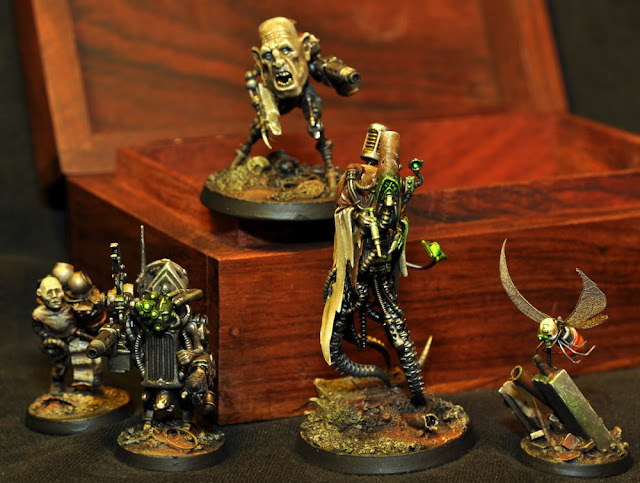 He was able to seamlessly combine these with new components, such as some elements from the Adeptus Mechanicus range, to create an utterly convincing band of degenerate mutants! 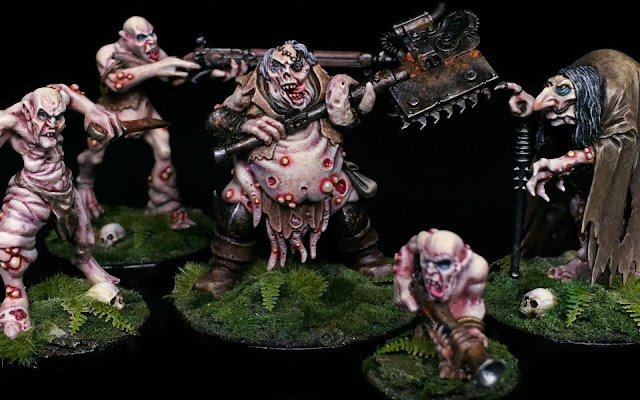 The pallid fleshy tones he achieved with the paint scheme also convey this idea of dysgenic outcasts, rather than followers of Nurgle. The second seminal addition to Ex Profundis was Isaac, aka Weirding Way, who is well know on the Ammobunker forums for his incredible Navigator Households. He has spent the past few years developing this relatively unexplored element of 40k, creating multiple Navigator Households including the House Merz-Itano, with their hypertrophic craniums, and the more recent House Akuhm from the Curse of the Alabaster fame. Isaac has an remarkable talent for seeing the deep seated potential of even the most obscure piece of a model kit, even if it requires extensive cutting and modification. What results are some of the most unique miniatures you will ever see, while still fitting into the tone and image of the 41st millenium. One of our absolute favorite visual elements he includes in many of his models are cues to early void suit technology, with bulbous domed helmets and radiant gold visors, reminiscent of cosmonauts. If you follow any of the blogs on this list, you have no doubt come across Ana Polanscak’s remarkable Gardens of Hecate. But while many here focus on converting models and building characters within Warhammer 40,000, her’s is of a much grander scope, as she creates entire worlds, based on folklore and myth, and her own incredible imagination! 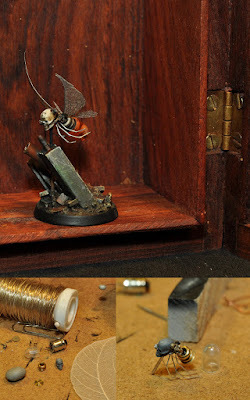 Instead of using Warhammer or 40k as a base, she scaffolds may of her creations about the skirmish game Malifaux, which uses an innovative system relying on a deck of cards rather than dice. In addition to tailoring warband rules to fit her creations, she has even painstakingly created her own deck of cards, complete with custom suits (which trigger unique effects in the game). And as if that worldbuilding was not enough, she compliments it with the creation of wonderful models with pieces of Malifaux and Games Workshop kits, as well as green stuff. Our favorite in recent memory is St. Anthimus, the Knight of the Holy Trinity, a veritable walking relic inspired off the phenomona of Catacomb saints. She also created a delightful, yet dreadful, Moss monster out of the Bad Juju model from Malifaux. 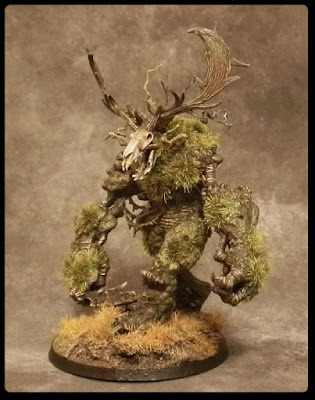 With a head-swap and careful conversion work, the model looks completely unique, conjuring up images of fey sprites and forest creatures from the most ancient folklore. Few people continue to push their craft further, and endeavored to explore entire settings like Ana, and for that we felt she needed to make this list! 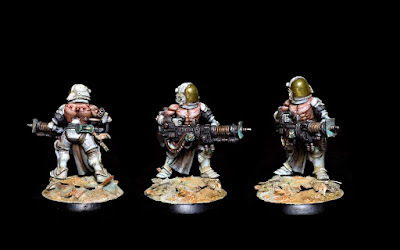 Although not a blog per se, we would feel remiss if we did not mention The Observer’s Beneath Terra project that he is documenting on the Bolter and Chainsword forum. 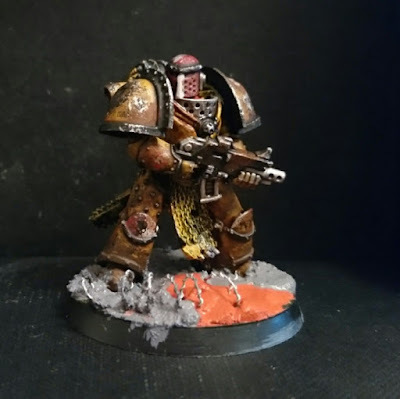 A narrative project as much as it is a modeling one, the Observer is exploring one of the lost Space Marine legions, Legion XI. An ambitious task for anyone, he proved more than up to the task with his evocative writing, told primarily through first person accounts. With each post he introduces new intriguing characters and motivations, slowly revealing the true scope of his vision. Excitingly, these characters are not limited to prose, as he has created many in model form, including Lord-Inquisitor Laurenz Kotophardi, and Logarach of the Enduring Sacrifice, the later of which was created as a member of the Church of the Red Athenæum with our blessing! 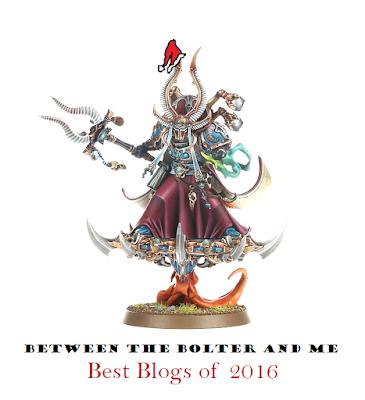 His story continues to unfold on his Bolter and Chainsword thread, and we urge to plunge into the dark tale! The cradle of Humanity in the 41st millennium, Holy Terra, was explored more in 2016 than it has likely ever been before. This is due to such things as Black Library’s Beast Arises series, Iron Sleet’s Pilgrym Project, as well as incredibly gifted hobbyists like Marcus from the blog Marcominius. Although his blog if filled with many great models, what initially drew us to his work were his excellent drawings and concept sketches. 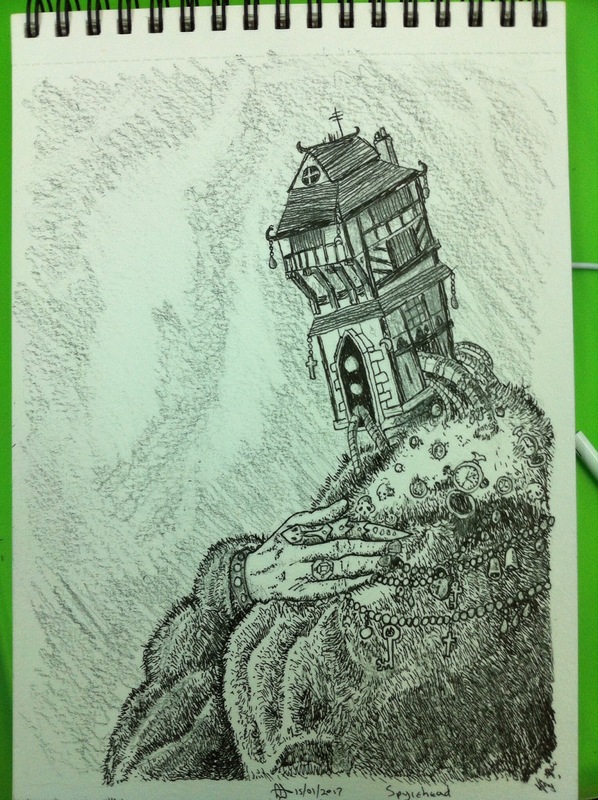 Each sketch is filled with tiny flourishes and details that set the mind to wander to dark places. He has a remarkable talent for perspective, not relying on needless detail, but instead uses subtle contours and the thickness of his lines to convey that information (this talent brings to mind the esteemed Mike Mignola). One of his most chilling creations is the Harvspices Collegium, an organization on Terra that reads the strands of fate and time through the entrails and remains of hapless pilgrims. We can only hope that 2017 is as fruitful for him as 2016! 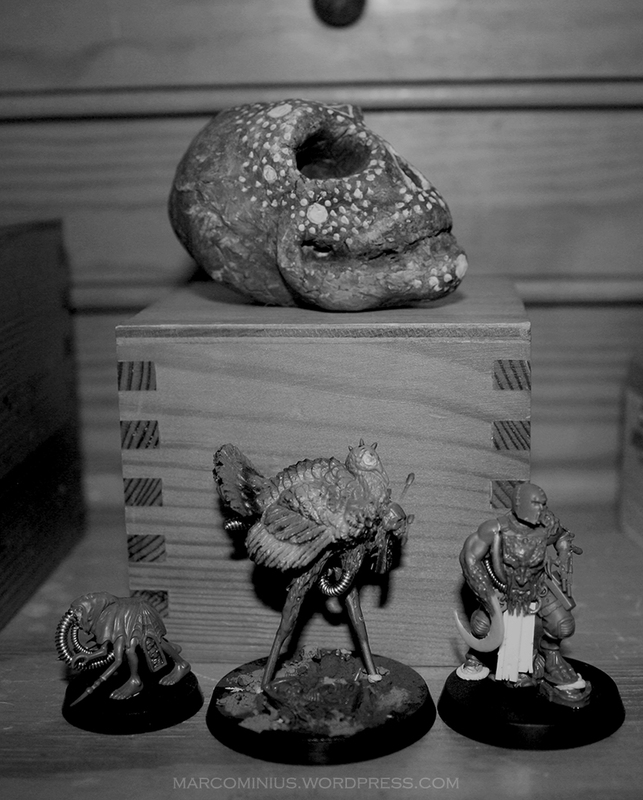 Another pleasant discovery of 2016 was finding Secrets of the Void, a blog detailing the exploits of a group of hobbyists from Copenhagen and their games of Inquisitor. 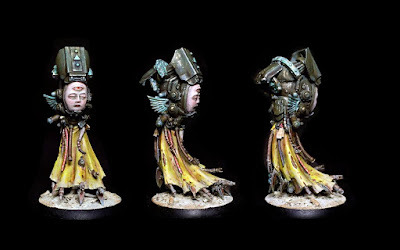 Kristian is the primary contributor to the blog, and has an impressive array of delicate and imaginative conversions, chief of which is an abhorrent magos aligning with the Dark Mechanicum, who is colloquially known as the Doctor because of his interest fleshcraft. But perhaps even more impressive than this chilling mass of spinal mechadendrites and vestigial limbs, is his little insectoid servo-skull flittering about on mesh wings. Made from small pieces of wire, and other assorted bits, the servo skull is simply one of the best models we have seen all year, bar none. 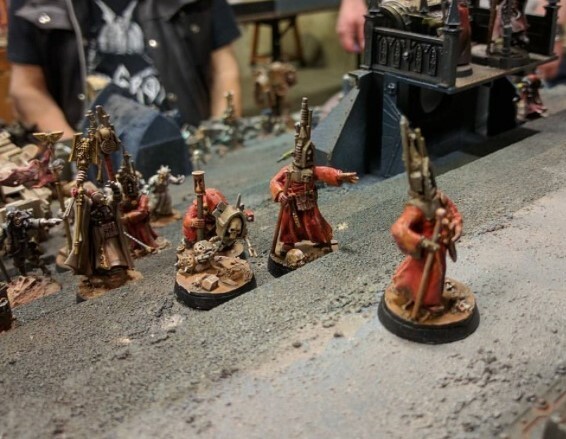 In addition to just showing models, the blog also details the Inquisitor campaigns they are currently running, including one centering about the aforementioned Doctor. 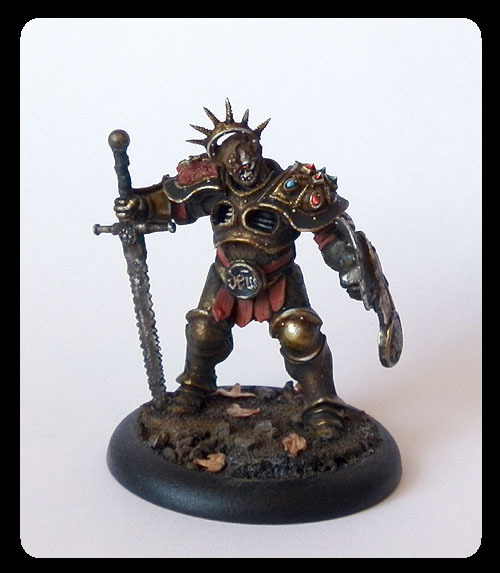 As 2017 rolls on, we hope to see a lot more from Secrets of the Void, including more creations of some of the others from the group (Lazar has a few posts, and judging by his most recent Inquisitor, he is also quite talented!). We felt we could not close out 2016 without acknowledging the blog Iron Sleet and all of the contributors to the massive undertaking that was the Pilgrym Project. This narrative misadventure to the rotting steps of the Emperor’s Palace pushed the three of us, and I believe everyone involved, far past where we believed we could go. Much of this work can be found on Iron Sleet itself, but also on many of the contributors personal blogs, including Tears of Envy’s lovely blog, the estimable JRN from miniaTEXTures, the luminary and spawn of the Green Mechanicvm FPOA of First Point of Aries, the thoughtful Fulgrim from the Tears of Isstvan, and the ever-inspring Jeff Vader from the Convertorum. While the legendary PDH and master Thistle do not have their own blogs, they were just as instrumental in the success of the project, and thankfully all of their work is documented on Iron Sleet for years to come! So thank you Migs, Kari, and Toni, and everyone else involved large or small; it was an event of a lifetime, and one we will not soon forget! I am glad there were a few new ones! Good to hear there were one or two! Thankfully it is easier than ever for people to share their ventures into the hobby! Thanks for the mention guys. An unexpected, and very appreciated surprise this morning. 2016 was tough for me with the back injury, but I'm glad you liked some of the stuff I was actually able to produce. I'm swamped at work this month, but I really want to ramp up on the hobby postings this year and get more out there once work settles down. I'll also be posting some new stories on the fiction blog soon in preparation for something larger, so hopefully 2017 will be a more productive year. With your excellent tech magos, we felt we needed to mention, hoping more people would see it! It certainly can be difficult to keep up with the hobby when real life worries happen, but it is good to hear you might be able to get back to some hobby stuff in 2017! We were happy to! More need to see your work. Blogging can be hard to keep up with, but it is pretty rewarding at the end of the day I think. Thanks for bringing these all to light; I've got a few extra blogs to follow now! Thanks for spending the time to look at them; I hope they provide a lot of inspiration! Also have an excellent year yourself! Thanks for the inclusion guys! Its an honor to be mentioned among so many talented hobbyists. Looking forward to seeing what 2017 entails for all of us! Your place on the list was well deserved! 2017 is sure to be grand! 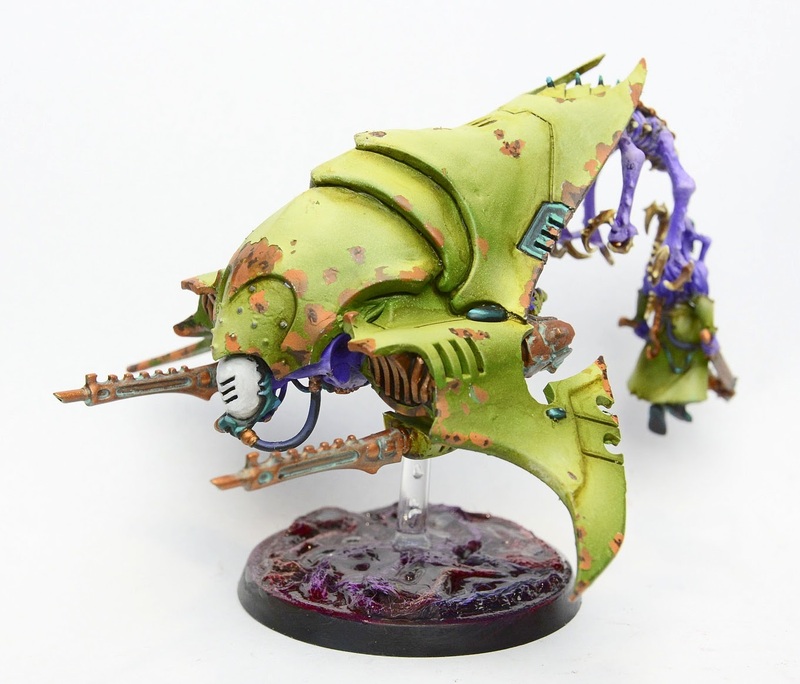 Thanks, the hobby blog galaxy is vast, post like this helps a lot t find some treasures! The amount of hobby content is certainly extremely vast, making keeping up with it all pretty difficult! I am glad the post was able to help in some small way! Thanks, it was a great year! Thanks for featuring Gardens on your list, Wiers! And there are a couple phenomanal blogs up there I had no idea about. Happy to have found them through this post. Thanks for all the excellent work you do! And I am glad you were able to find some new blogs! Just wanted to stop by and repeat how grateful I am for the collaboration last year and what an honour it was! :) Thank you for this legendary opportunity guys, means a lot. It's been an amazing year what with Pilgrym, your Arbites force and more. Let's see if 2017 pans out even better! It was excellent working with you last year; hopefully we can again sometime! 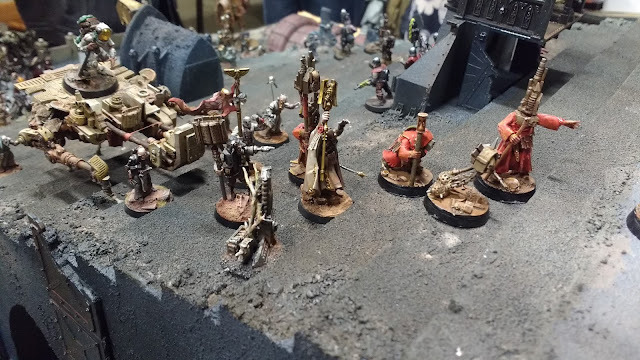 I'm a bit humbled that you featured my warband in this writeup. Thank you. It is stunning work, and some of the best we saw all of last year, so we felt we had to showcase it! Thanks for sharing it, and we look forward to whatever you create next! What an excellent article. It shows just how many fantastic hobbyists there are out there, producing such excellent work. I'm kinda feeling a little overwhelmed by the quality and the imagination. I know! 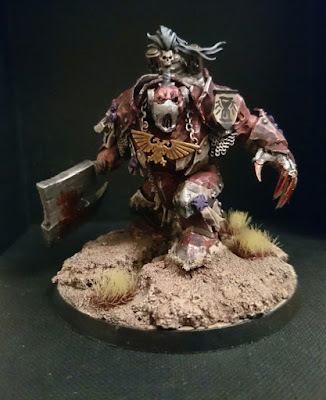 There are so many talented people in the hobby. And while it can be daunting at times, it keeps me excited about the hobby and wanting to keep at it! Your place on the list is well deserved! Few people are so talented with green stuff, let alone so creative to back it up! Good luck in 2017! Your work is inspiring, and I hope by including you here, more people discover your blog! Also, it is good to hear you found some new ones too! 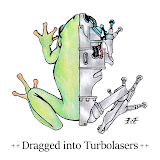 Dragged into Turbolasers Episode 15: 2017 begins!